Courtesy of Mr.Luiz Santilli Jr, our very energetic manager. Hello Sir! good morning and to all members of Today's flowers. Here's my flowers for today. 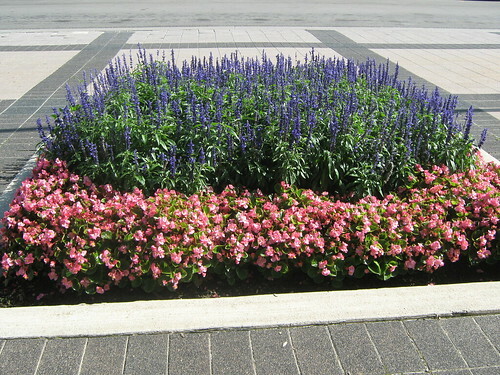 I took this beautiful flowers last two weeks here infront of our public library. Very beautiful flowers. nice addition to see when entering or exiting the library. Pretty flowers I tried to leave a comment on your other blog with the pictures of the waterfall but it wouldn't let me. Norm: Beautiful colors on the flower displays. ... and they look great in here! Very neat and pretty! I like it when public places plant flowers. This is such a pretty and colorful planting. Great photos. Most definitely, very beautiful flowers. Nice little flower bed. :-) I like those purple ones and had some but can't remember what they're called. Thanks for join us in TODAY'S FLOWERS and hope to see you every week! If you want, send me a flower and I'll post soon in TF. You find my e-mail in my profile! 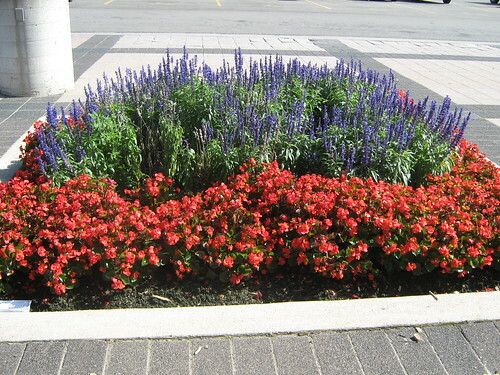 What beautiful flower beds! Very pretty pics!